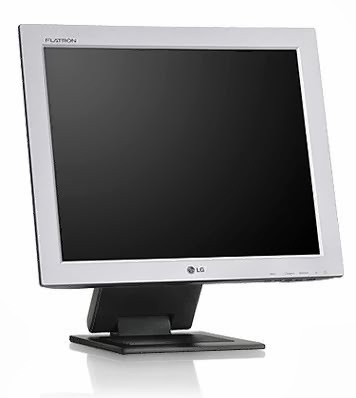 Found this touchscreen monitor on the archive, its old but feature a touch gesture feature, the problem is that LG is no longer supporting this FLATRON L1730SF PC/Mac monitor and no more Windows 7 or Windows 8 driver available. If you are using a old OS like Winodws Vista or older just download the official zip driver form LG support, and if you are using Windows 7/8 OS you'll have to use a 3rd party software with an included new working driver for these new operating systems. Just download this zip file L1730SF driver. Extract the zip file to the desktop. Go to device manager and update the new unkniown device to search from driver form the extracted folder on your dektop. Now the driver must be installed. First thing note that this software is not from LG side, its from "touch-base" and free for 100 taps. Go to this page, put your name, email, and select "ITM Touch, LG, USB" on the "Touchscreen controller" drop menu then chose your OS Windows 7/8. Now wait until the driver generate on the server side, when it's finished the download link will be sent to your email. Download it then install 32 or 64bit setup, at first run the touch-monitor need to calibrate, so go to start menu->All program->UPDD->Calibrate. That's it your done ! If you still have problem please leave a comment. still problems on windows 7 ultimate 64 bit. I followed the procedure, got the UPDD correctly installed: I see the UPDD in the device manager and I can run the calibrate.. If the above driver is not working for you could you give me the hardware ID and LG reference .